If you are annoyed with the Ads popping up all the time while you are using any Android Applications on your Galaxy S2 and want to temporarily stop internet access then there is a very simple trick. Here is the first of many S2 tricks I am going to post. 1. Press the On Off Button. 2. 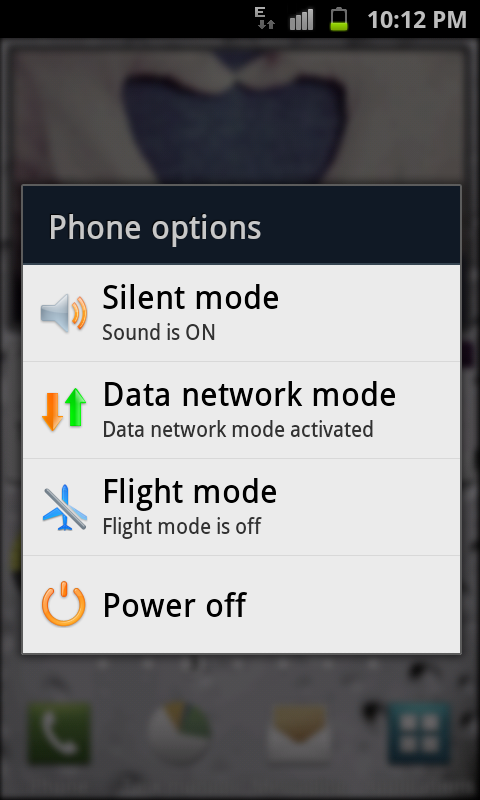 Just press the Data Network mode. 3. Your Internet access will be disabled. 4. Follow the same process to reactivate the Internet connection. One more advantage of this approach is you can also save lot of battery life on your Samsung Galaxy S2 when the Internet access is disabled as many Apps on your mobile access internet on a regular periodic basis.